For anyone taking photos as an avid hobby or interest, it can be easy to let things get a little bit stale when it comes to your passion. Being restricted to the subjects you have around you, it will be hard to branch out and experiment with your picture taking, slowly making it harder and harder to stay interested in this pastime. Of course, though, it never has to be this way. Instead, if you’re willing to be a little adventurous, you can start finding new and interesting things to capture all the time. To help you out with this, this post will be exploring some of the best ways to add the spark back into something like photography, using new experiences to drive you. Local Events: Sometimes, getting the perfect chance to take some snaps is all about being in the right place at the right time. In most places, the normal and boring areas can often become some of the most vibrant with the right public events, from carnivals to fairs and religious festivals. There will be nothing stopping you from attending things like this equipped with your camera. If you are able to get a couple of good enough shots, you may even be able to sell them to a local media outlet. This sort of exposure can be great when you’re first starting your career in the world of photography. A Small World: A lot of the World’s most intricate and beautiful things can be found when you take the time to look closer. Macro lens attachments can be found for nearly nothing on sites like eBay, and you may already have a lens or two which can capture images like this. With the right kit on hand, you can take pictures which look as though they have been captured through a magnifying glass, giving yourself a door into a tiny world. Photos taken like this can look stunning. To get some inspiration, there are loads of photographers on Instagram who are taking snaps like these everyday. Flying High: The next option in this post is going to involve taking to the sky to take some of the best photographs you’ve ever had the chance to capture. Of course, though, achieving this goal has to be done through the right means. Using a drone is boring, as this will keep you stuck on the ground, and will make it hard to take interesting pictures. Instead, companies like Float Balloon Tours could be perfect, giving you the chance to see the world from a different perspective. Photos taken from vantage points like this are often some of the most well-received on social media. In fact, in some cases, you may even be able to sell images like this. Long Walks: The best photographers out there are those who are able to see the beauty in everything, finding great images where other people simply wouldn’t notice anything special. Of course, as a big part of this, you will often have to go out looking for things which catch your eye. One of the best chances to do this will be on a long walk. Most places have loads of different areas for you to explore, enabling you to get loads of mileage out of the place you call home. A lot of people ignore the opportunities they have in their local area. In reality, though, this could have a huge impact on your photography going into the future. Helping Others: As time goes on, starting small businesses is becoming easier and easier. This ease has started to have an impact on the quality of companies out there, though, giving those putting in the right effort the chance to stand out. Photography can be one of the best ways to do this, making bad websites look great and giving you loads to splash across social media. Finding local ventures in need of photos should be nice and easy. At first, you can offer these services for free, slowly building up a solid background when it comes to your product and business snaps. Once you have enough to convince people to pay you, though, this could start to become your new job. Setting Challenges: Most people find that it is very hard to progress in the things they love if they don’t set themselves goals and targets to reach along the way. As a big part of this, you should always be setting yourself challenges, giving yourself something new to aim for. For example, if you are taking pictures of wildlife, you could slowly work to create a portfolio of birds in different stages of flight. This area of the field is notoriously difficult to master, and a lot of people have to practice very hard before they can produce anything worthwhile. To help you out with this, there are loads of Youtube videos out there which are dedicated to wildlife capture tips. Sharing Images: Finally, as the last option to consider, it’s time to think about stock photos. Nowadays, demand for imagery which doesn’t look like it has been taken in a studio is becoming very high. Sites like Unsplash enable users to share quality photos which they have taken themselves. Using a platform like this, you won’t often get any money for the work you do. Instead, though, you will be rewarded with credits on other people’s websites, small donations, and the satisfaction which comes with seeing your pictures on other someone else’s work. A lot of photographers make their name using websites like these. Hopefully, this post will inspire you to start finding news ways to bring some passion back into your photography. A lot of people struggle with this part of their hobby, finding it hard to ensure that they are able to experience the best parts of it as much as possible. With the right time, dedication, and patience, though, most will be able to start making a difference. This sort of work will be worth it if it is the difference between abandoning your hobby and taking it to the next level. Taking quality photos is only the start. Sorry to burst your bubble young Bailey, but it’s the truth. The difference between great photographers and amateurs and intermediaries is the result. Anyone who thinks this only has to do with capturing the moment is wrong, dead wrong. A photographer has to get their images from the camera and onto the frame. From the frying pan into the fire. If you’re catching onto the tone, it shouldn’t come as a surprise that this is a complicated process. Come on; who prints images anymore? Well, it turns out lots of budding artists who want to showcase their work. You can’t put up a link to the website in a gallery. So, you’re a photographer with a gap in your knowledge. Do you throw the camera down in rage? Of course not; you figure out how to fill the gap. Here’s what every artist needs to know, modern or otherwise. Before the printer begins to growl and spit out paper, there is the small problem of choosing an image. Sure, every photo an artist takes is a masterpiece that deserves pride of place on the wall. But, as you will agree, some are better than others. Which ones fill your body with pride? Which photos stand out from the rest of your portfolio? Which stand the test of time? They are the images which should get printed and immortalised for years to come. After all, they are the best depictions of your skill as well as your mood at the time. Pick up the camera and scroll through your collection. When you flick past something which gives a funny feeling inside, you should mark it as a potential candidate. It’s weird that a piece of a dead tree plays such a big role in photography. The wood didn’t do anything special apart from live and die, yet it can make or break the outcome. And, that is something every artist should remember. The paper on which the image gets printed will hide the flaws and highlight the main features. At least, it will on a quality rag. First of all, photographic paper is essential. Anything on a standard piece of A3 or A4 will look silly. Next, consider Inkjet and Laser printing. The laser option is quicker, yet lacks accuracy and harms the overall detail. Finally, think about the consistency. From glossy to matte, the texture of the paper will either make the image pop or merge into the background. Depending on what you want to achieve, you should choose accordingly. While we are on the subject of printing, let’s not forget the ink. Okay, talking about ink cartridges and the different types is boring. Don’t say that too loud, though, because you wouldn’t want to get judged. Again, like the paper, the ink plays a significant role in the outcome of the image. The first hurdle to avoid is variety. From Canon Pixma ink to Epson Stylus to Panasonic Panafax, there are lots of options. Of course, you might have never heard of any of these different types before, which is why research is vital. Try and cover as many bases as possible and link particular ink and toner to individual styles and trends. Oh, and don’t forget about the price. Ink cartridges are expensive, and photographers need to be able to afford the overheads. The majority of modern printers come with this feature, and it’s one that throws photographers. Now, the first thing any self-respecting artist should know is that flaws aren’t bad. Of course, you are going to make mistakes because you’re not David Bailey. However, there is no reason to fix these errors in certain circumstances. The main thing to learn about the auto-fix feature is that it isn’t necessary one-hundred percent of the time. If you are going to use it, get familiar with the technology. Indeed, print images with and without its help and decide which ones look the best. As you already know, practice makes perfect. “Photoshopping,” as people call it in the trade, is a delicate balancing act. On the one hand, the right editing tools can enhance a photo from good to great. On the other, people do exploit the technology for their benefit. We all know about the numerous models that are edited to fit on the front of glossy magazines. From an artistic point of view, the editing process is a part of photography. The key is to use it to tweak small details which can transform a photo. For example, adding an effect is fine, as is messing with the brightness and contrast. Some of the best on the market include CyberLink PhotoDirector and PhaseOne CaptureOne. Adobe Photoshop is still a great tool in 2017. As a rule, it is better to print from a photo editing program because of the control aspect. A camera thinks it’s doing you a favour when it compresses an image into a JPEG. It isn’t, and it needs telling. Of course, you can’t tell it anything because it’s an inanimate object. However, it is possible to turn the feature off and to forget about compression altogether. Without it, the quality of the image increases as the features don’t get squashed. Whether you want to change the size afterwards is a decision for the artist. But, before the printing process, it needs to be au naturel. A word of warning: don’t edit a photo and save it back to a compressed setting. This is a sure-fire way to lose vital information as the transition isn’t smooth. Finally, preview everything before clicking the “print” button. Thanks to this feature, there’s no reason to cross your fingers and hope for the best. Instead, study the image in fine detail and make sure it’s up to your standards. That way, the end product will be special. Photography is one of the most wonderful hobbies in the world. It’s an activity that can make precious memories for you, it’s one that can take you around the world and it’s something relaxing that you can do without stressing your body and mind too much. Like any art, photography can be expressive as well. The types of pictures you take can really define you, and there’s always a chance of turning it into a lucrative career if you’re dedicated to your craft. Sadly, photography can take a lot of your time due to the travelling it involves to get some of the most breathtaking shots, and it can also be expensive due to the equipment you need and how much you’ll end up paying in travel fees. But whether you’ve put down your camera in favour of other hobbies or because you can no longer afford it, here are a couple of ways to give yourself the motivation to pick up photography again. Photography and travelling go hand-in-hand. Photographers are always looking for new places to snap up some beautiful landscape pictures, or backdrops where they can photograph friends and loved ones to create priceless memories that you can keep forever. Take inspiration from photographers such as Peter Lik, one of the most prominent landscape photographers who makes a serious living from his beautiful pictures. Those types of photographs can only be achieved by being in the right place at the right time, which is why travelling is such a wonderful companion to photography. If you’ve been looking for an excuse to get out more and travel, then use photography as an excuse—get out there, explore and find something amazing to snap a picture of. Photographers have a keen eye for beauty. When you’re a photographer, you appreciate the finer details in life and your surroundings which can seriously boost your mood and give you a positive outlook on life. Those flowers and trees you walk past on your way to work are no longer ignored when you’re a photographer. You’ll see beautiful plants and you may even stop by to take a couple of amazing pictures. It’s this ability to see smaller details and appreciate things in life that will ultimately improve your mood, boost your mental health and even slow down life so you can enjoy it to its fullest. Selling stock photographs – there are many places to give away stock photographs as royalty free, but if you have a particularly good collection of images then you may want to actually sell them on the internet. Stock photographs are used for everything from articles to blogs and even publications, which is why they’re always in demand. Writing and selling a book – as a photographer, you’ll likely do a lot of travelling. Because of this, you can write comprehensive books about various countries or destinations and include your beautiful photographs in the book. Selling prints – if you prefer to keep the ownership of your photographs, then why not sell prints? You can sell the pictures in frames, you can sell them attached to bags or shirts and you could even sell merchandise with your pictures as the theme. It can be difficult trying to motivate yourself to take up a hobby after dropping it due to time or money constraints, but photography can be an incredibly fun hobby to take up if you’re after something that gives you an excuse to travel and can make you see the world from a different perspective. It can start from something as simple as taking a picture of your children and capturing their younger memories, or it could begin when you go on holiday and soak in all of the beautiful sights and scenery that the world has to offer. If you’re planning on going outside to take photos, whether it be in a studio or outside, you have to make sure you’ve done the necessary preparations first. You have to remember that you need all the equipment for your camera and yourself, as well as having the right environment for you, before you even start to avoid getting stuck in a nightmare! If you get stuck in these muddles quite often, then keep reading for some advice on how to start turning it around! Most cameras nowadays are digital and don’t use film like the days of old although some of these do still exist! Memory cards are were your photographs are stored. 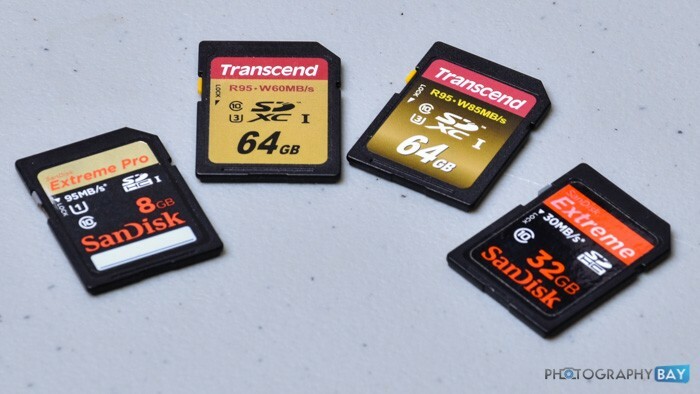 Due to your photographs being stored digitally, they all take up a certain amount of space on a memory card, and the size of them determines how many photos they can store! There is nothing worse than having an almost full memory card in your camera and not having a spare before a day of taking photographs so you must ensure that you have some spares with you to be able to take as many shots as you can, or to actually be able to contain them all! You can buy memory cards from here, just make sure that you have enough space to get the job done! Make Sure You’re Happy With The Location! Locations are everything when it comes down to photoshoots. They dictate the tone, the way the photo is taken, where you have to stand, everything! Because of this, it’s important that you get the right location, because if you don’t you’ll find yourself taking photos that you don’t like in a place that you don’t like too! There are many different areas that you can do a photoshoot, click here if you need some ideas, though you must enjoy where you are going as it reflects in your work. This is especially important if you are being paid for the work that you are doing, you don’t want to not get paid because the quality of work was poor, so make sure you get it right! Okay, so this does sound slightly daft however you need to bear this in mind. A lot of photography happens when you are on your knees, especially in professional photoshoot environments. If you are on your knees all day with no protection then this can cause some serious damage to your knees. Not only knees but hands too, if you’re low to the ground which means your hands could be scraping off something nasty, you need to get protective gloves and kneepads if you know this is going to happen. You can buy specialist photography knee pads by clicking here, they are not too much money and are a great investment. They save you getting problems with your knees in the future as they are a point of weakness in the human body, so if you’re going to be using them then definitely get some protection! Doing any of these things is an absolute must and will help you greatly when you come to take your photos! Making sure you have the right area means that you’ll not only enjoy it but also produce good work, having the right safety equipment means that you don’t have to worry about damaging your body if you’re going to be on your hands and knees all day, and keeping enough memory cards on you means that you don’t have to worry about not being able to store all your photos! If you’re not sure of what you should be taking photos of, have a look here for some good examples that will hopefully inspire you! When it comes to organising a wedding, some people will stick with friends and relatives. But there are some jobs that these friends and family can’t do. Unless you personally know a registrar, you’ll need one to legally get married. Then there’s the added benefits that come with a hiring a professional. They won’t get too drunk and forget to take photos for half the night, neither will they play an inappropriate DJ setlist in the evening. That said, you shouldn’t just hire any old professional to work at your wedding. Research is important in order to get right individual for you. Here are some of main factors to consider when looking for wedding professionals. Expensive rates don’t always entail the best service. It’s worth always collecting multiple quotes from different registrars, photographers, DJs and florists. There are lots of cost-saving techniques. Getting married in winter will often get you less expensive rates as this is when there are fewer weddings, and so those in the wedding trade will compete against one another with deals in order to get business. Bundle deals can be another way of saving money, giving you multiple services at once. Be aware of those that try and sell you extras. Do you really need flowers on every table, or will a large flower feature somewhere central do? Is champagne necessary on the exit to the ceremony, or can you wait until the meal and reception? A breakdown of all the costs can often be useful, so that you know exactly what you’re paying for. Of course, if cost is your main concern, hiring friends and family to do certain jobs may be more sensible. Just be aware that you may not get the desired quality that you’re after. Checking someone’s reputation is very important. Anyone can pass themselves off as a photographer or DJ, so check that they’re somewhat established (a good quality website and social media are good things to look for). Reading reviews can also help you to find someone that’s good quality. There are plenty of review sites online. Don’t disregard word of mouth too – reviews and testimonials online can be faked, but if you’re hearing it straight from a previous client’s mouth, you know that they’re worth considering. Someone’s experience can also count for a lot. 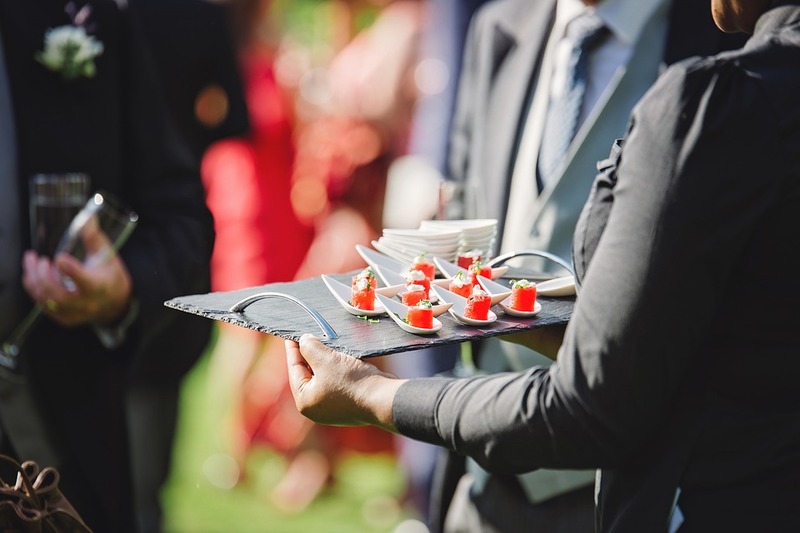 A catering service that have been cooking food for weddings for ten years may be better equipped than a brand new company. Relevant wedding experience is also important. Just because a DJ has been playing clubs for several years doesn’t mean that they’ll also be able to transfer their talents to a wedding setting, where the audience is different and children may have to be catered for. Many people in the wedding trade will keep a portfolio of their work, either as a photo booklet or online. Always ask to see this so that you get idea of the past clients they’ve worked with. Photography: Do I Really Need A DSLR? It’s only recently that we all started carrying cameras around in our pockets. Much to the frustration of some purist photographers, smartphone cameras have been developing rapidly over recent years. If you’re getting into photography, you might think that the capability of your smartphone camera completely eliminates the need for a DSLR. While this isn’t going to be entirely true, here’s a closer look at the photographic capabilities of modern smartphones. If you’re passionate about photography, then you’ll already know that the best shots can spring up when you least expect them. When you’re going out on a date or meeting some friends for drinks, it’s certainly better to have a smartphone in your pocket, rather than a big, bulky DSLR. As much as you might love photography, lenses, batteries, speedlights, and other gear can make it tough to get around, and make you look very awkward in a lot of situations! Furthermore, a big, expensive DSLR around your neck can label you as a tourist, and make you a target for pickpockets and muggers. Smartphones are also much more convenient for sharing. While there are some models, like the Nikon D3400, that have Bluetooth for instant copying to a smartphone, the camera on your phone is perfect for photojournalism or regularly updating your social media presence. One of the major things that separates DSLRs from smartphones is that the former has interchangeable lenses, allowing the photographer to change the way their device functions according to the photographic situation they’ve been dealt. Smartphones, barring a few tacky gimmick products, can’t accommodate for lenses. This means that with a Sony a6000 Silver, you can switch to a 50mm macro lens for taking portraits, allowing you to capture highly detailed images of people. On the other hand, the iPhone 7 only has a seven-megapixel front camera. Shooting in a dark environment or relying on a smartphone’s flash can also create problems, leading to red eye effect and dimly lit night-time shots. On the other hand, DSLRs have external flash, with a number of settings you can use to manipulate the feature. Finally, we have zooming. As you know all too well, when you try to zoom in on some distant detail with a smartphone camera, it quickly becomes blurry. A telephoto lens can actually magnify the camera’s view, rather than simply enlarging part of the image. Okay, battery life has always been a pet peeve for smartphone users, and these days portable chargers are a very common accessory. Even if you have a phone that’s great for battery life, this can make them impractical for a full day of shooting. You don’t want to get a handful of snaps in, then get the “low battery” message, and have to go a few hours with a bulky power pack hanging off your phone! Most modern DSLRs allow you to go for days on end with almost constant use, without ever having to charge or change the batteries. Has Photography Overtaken Content In Blogging? The first blogs were about words. They rarely had pictures, and if they did, they were badly lit and often out of focus. Blogging was an extension of keeping a journal, only one where you let others behind the scenes. Blogging in 2017 is very, very different. Now, it’s hard to see past the amount of images available – and what stunning images they are. From the beautifully curated Instagram grids to the product review photos bathed in light; blog photography has changed. It’s gone from a quick snap in the back garden to an industry in and of itself, involving shoot locations for that perfect background, complicated DSLR cameras, and studio lighting props nestled into bloggers’ bedrooms. It all leads to the thought… what’s more important in modern blogging – is it the words or the photography? When you look at the major bloggers, the big players whose site is their entire career, then you’d be forgiven for assuming that it’s photography that has stolen the crown. Posts often contain multiple images from a million different angles. Now we don’t read reviews of beauty products, we look at the pictures, the swatches, the comparisons to previous releases. The words are there and we’ll scan them, but we won’t do the reverse and read the words without studying the pictures. Nevertheless, text is still there. Even on Instagram – the home of photography – people use text to talk, engage, and explore the platform. People still write long blog posts and they still get shared; there’s an appetite for both. If you blog, the key seems to be to know what matters. If you’re writing a highly personal post, then the photography doesn’t matter as much. A couple of stock photos or basics you have snapped will suffice, just to break up the text if nothing else. However, if you’re reviewing something or talking about a holiday you have taken, then the photos become all the more important. People don’t want to just hear about what an item looks like, they want to see it in action, see if it comes off as well in your photos as it does the highly-altered brand photos. This is all the more important for fashion bloggers. Photos of clothes we see at online stores and as physical mannequins… they’re pretty much useless. They’re being displayed on models for a start, and then they will go through a PhotoShop process that makes them look even better. One of the reasons fashion bloggers have risen to prominence (to the point of attending runway shows that were once the reserve of the fashion magazine elite) is that they are relatable. Real clothes in real situations, worn by real people. If you want to fashion blog but don’t much care for photography, it’s going to be an uphill battle. As always, the answer to the question at hand is: “both”. While photographs are becoming more and more influential – especially for particular blogging niches – there is still a need for high-quality content, written by people with a talent for writing. There’s room for everyone!